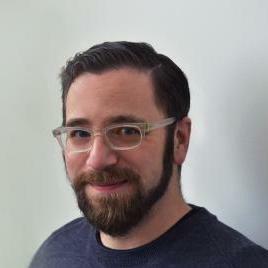 Interim Gray Center Director (academic year 2018-19) Seth Brodsky is Associate Professor of Music and the Humanities at the University of Chicago. He is the author of "From 1989, or European Music and the Modernist Unconscious" (California, 2017), and has published on such topics as opera, influence, and the music of John Cage and Benjamin Britten. He is currently at work on a book about music, psychoanalysis, and repetition. Seth's faculty profile. Gray Center Interim Director Seth Brodsky receives Lewis Lockwood Award from the American Musicological Society for his book From 1989, or European Music and the Modernist Unconscious. Gray Center Advisory Council member Seth Brodsky releases new book, From 1989, or European Music and the Modernist Unconscious, published by University of California Press. The Gray Center is pleased to announce the launch of Portable Gray, a new journal dedicated to the weirdness found at the heart of the arts and scholarship(s). Free food. Free drinks. Meet contributors. Complimentary copies of the inaugural issue. 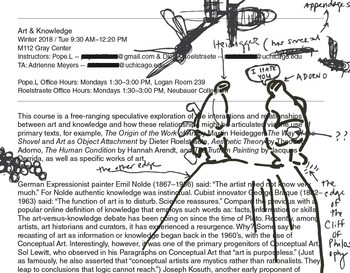 Join us for an evening with Seth Kim-Cohen as he presents a new performance/lecture that deals with art, music and neoliberalism entitled, Apocalypse Karaoke.